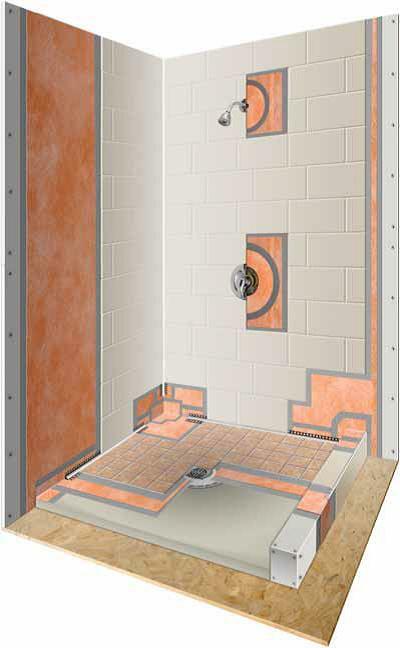 The Schluter KERDI SHOWER KITS is an all inclusive package that contains each of the necessary components that are required to create a maintenance-free, watertight shower assembly without a mortar bed. 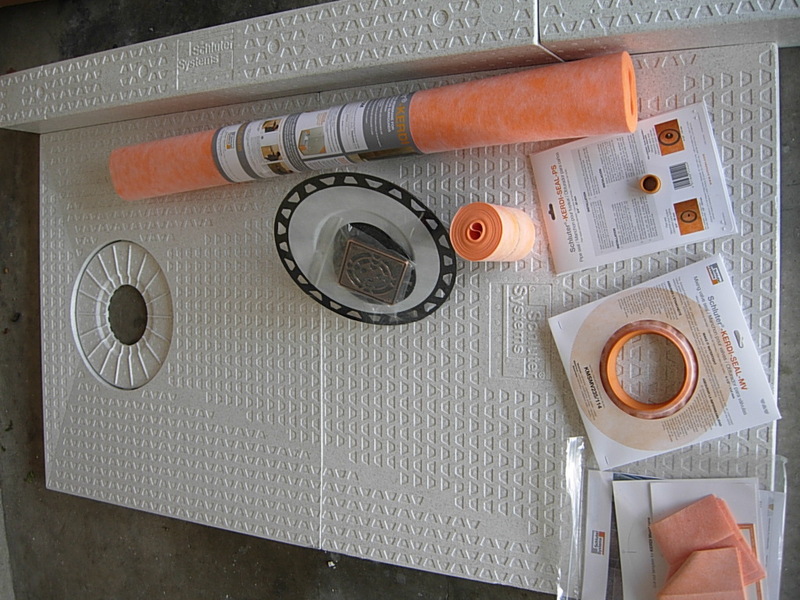 Schluter-KERDI-SHOWER-Kit are prefabricated substrates, made of expanded polystyrene foam, for tiled shower bases in conjunction with Schluter-KERDI waterproofing membrane and Schluter-KERDI-DRAIN. 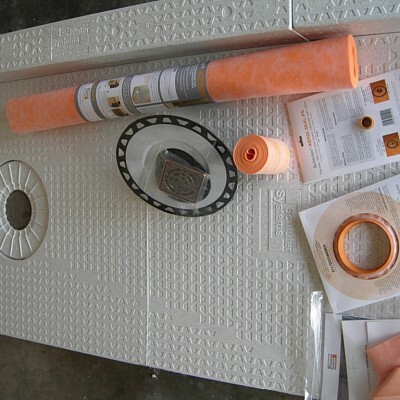 The Schluter-KERDI-SHOWER-ST is a prefabricated, sloped shower tray that is made to specifically accept the Schluter-KERDI-DRAIN and the Schluter-KERDI waterproofing membrane. 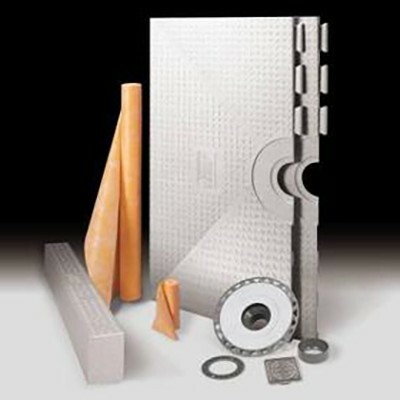 The trays are available in various sizes; 48″x48″, 32″x60″ and 72″x72″. The Schluter-KERDI-SHOWER-SC is a prefabricated curb that can be used with Schluter-KERDI-SHOWER-ST. The curb dimensions for this tray is 48″x6″x4 1/2″. 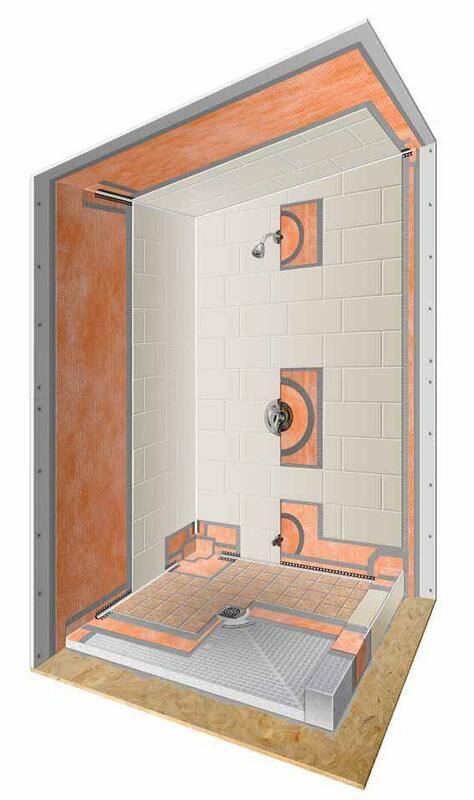 The benefit on using the Schluter-SHOWER-KIT is that is eliminates the potential for efflorescence, mold growth in the system, and most importantly leakage. 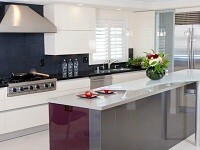 The kit itself is incredible easy to use and install and is very user friendly and dramatically reduces the total installation time. 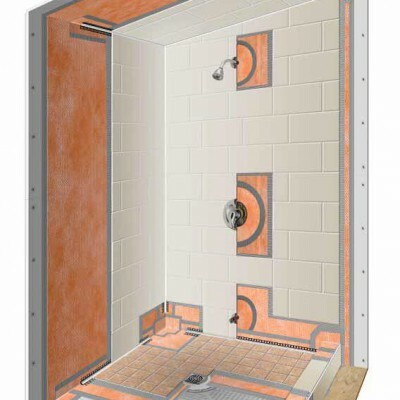 The Schluter prefabricated shower substrates provide an alternative to the common shower base constructed out of mortar. 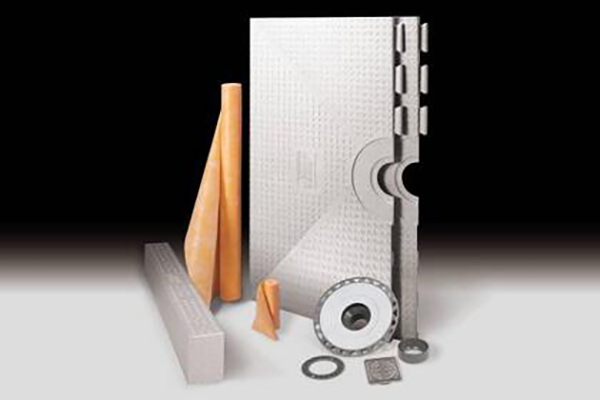 The shower substrates are especially useful for any large-scale-repetitive jobs such as apartments, condominiums and hotels for they allow the bathroom to be constructed on day one and tile to be installed on day two. 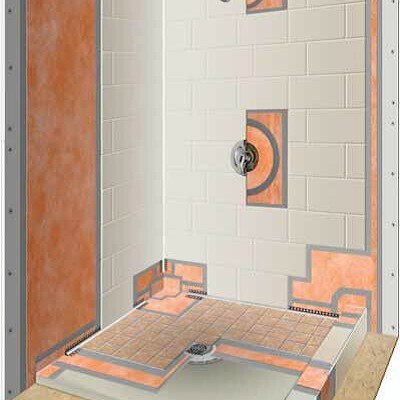 Schluter prefabricated shower substrates provide an alternative to shower bases constructed of mortar. 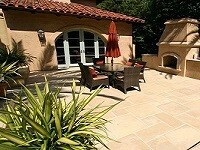 The shower tray and curb are especially useful in large-scale, repetitive jobs, such as hotels, apartments, and condominiums for the significant time savings that can be realized.